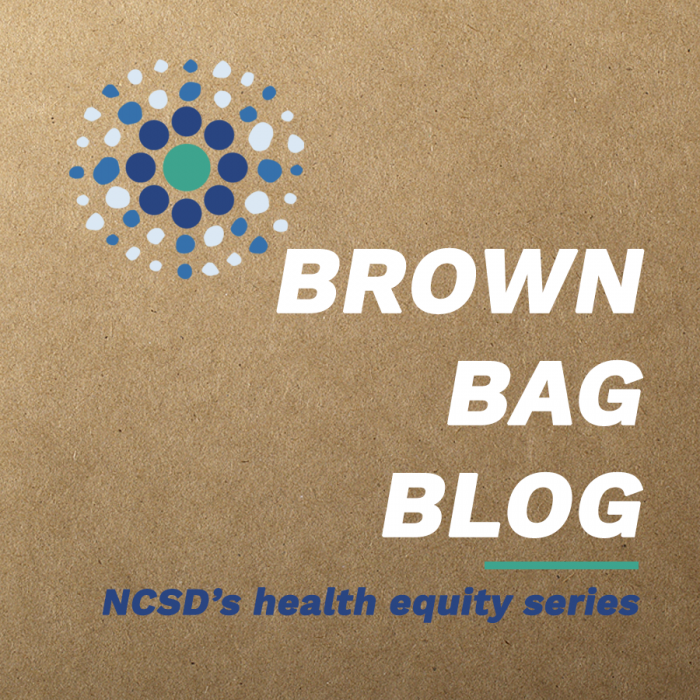 NCSD staff reconvened in December for another brown bag discussion centering around white fragility, and how it can often be an obstacle in getting people to confront racism and racial bias. NCSD staff started the brown bag discussion by defining white fragility as the discomfort or defensiveness on the part of a white person when faced with issues related to racial inequities and injustice. When confronted by racial injustices, or their role in perpetuating racist systems, people can exhibit emotions such as anger, fear, and guilt. Instead of coming to terms with their actions and focusing on making amends by ensuring that their transgressions do not happen again, many people allow these emotions to disrupt the conversation and distract from the larger issue. People can become defensive and aggressive towards the person with whom they’re speaking, instead of listening to what they have to say. The unfortunate reality is that systems of oppression are perpetuated unknowingly, often by white folks. Therefore, it is the responsibility of all of us, especially white people, to listen to black and brown people when they accuse us of an injustice. Whether it be a microaggression, perpetuating a stereotype, or outright discrimination, it is vital that we listen to people of color and do our part to stop perpetuating these oppressive systems. Public health representatives are no strangers to issues related to racial oppression, and many of them deal with these obstacles every day. Therefore, it is immensely important that care providers in our field ensure that they do not allow their own emotions to prevent them from listening to their clients when confronted by these issues. For example, if a patient expresses their distrust of you or your health department citing the Tuskegee syphilis experiments as their reason, it is vital that you do not write it off. It is true that our field has come a long way since those infamous experiments, however for many black and brown people, those events are still very much at the forefront of their minds when accessing medical care, especially for STDs. Rather than claiming to be different, show patients how our field has changed. Demonstrate that you have heard their concerns and provide evidence that shows how you and your health department take these issues seriously. Dismantling racism and systems of oppression is a process that is contingent upon unlearning what we have been told, and listening to people of color when they voice their opinions and concerns. There is no quick and easy solution to becoming a society free of racism, but moving past white fragility is an important step in the long road ahead. NCSD encourages our members to have these tough discussions with their own staff to foster a more understanding and comprehensive approach to promoting sexual health and health equity. Below you will find some useful resources to guide such a discussion.